Clean, classic lines and contemporary elegance combine in Fleurco Verona 56" In Line Sliding Tub Doors. Its sophisticated framed design features two sliding tub doors with a reversible for right or left opening mechanism, what allows to enter the tub from either side. 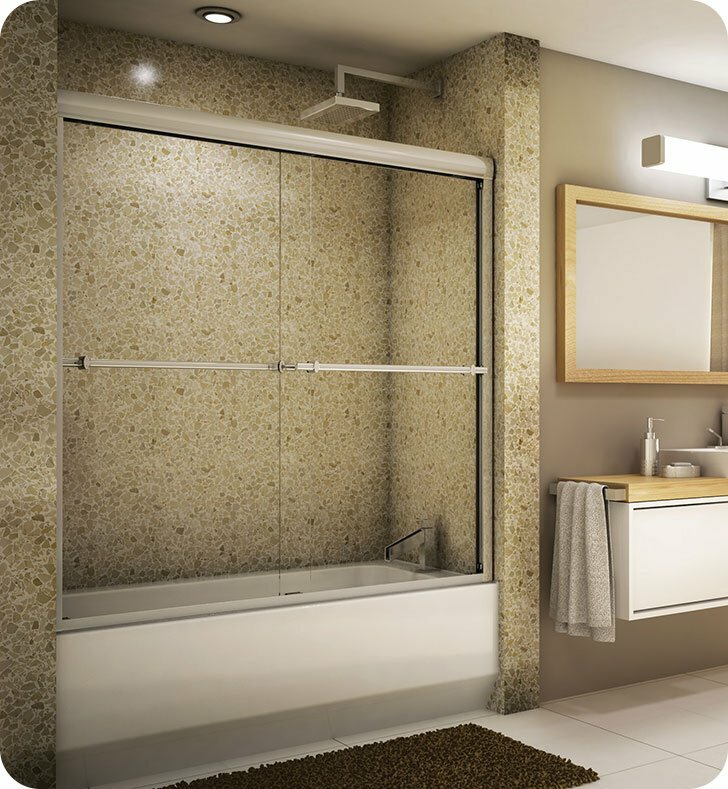 Premium 1/4 inch tempered glass construction has a clear glass texture to keep the bathroom space airy and luminous. All non-glass components are available in a finish of your choice, bright chrome or brushed nickel, to add a decorative touch. With its space-saving profile and cleverly designed features this bathroom device will fit in with most bathroom stylings, providing longevity and attractive appeal.